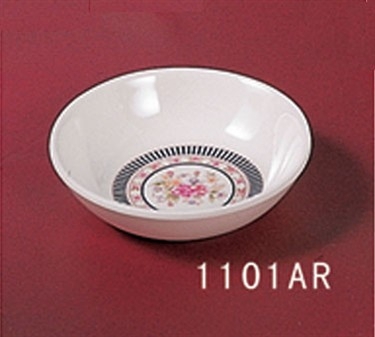 Charming yet practical, the Thunder Group 1101AR Rose Sauce Dish 2-3/4" features a dainty floral design against a crisp white background. This versatile sauce bowl is ideal for serving a variety of sweet or savory sauces, dips, dressings and more. This 2-3/4-inch dish is crafted from sturdy, break-resistant melamine, which is NSF-certified, heat resistant and dishwasher safe. Your customers will enjoy the look of this pretty sauce sauce, and your staff will appreciate its extreme durability.